How to cook for one? Over the years this has been a question which many retirees have asked. There are not many recipes written for one person; or even two. Many of these older people have simply given up on cooking. This is especially true when one loses a spouse and they are left alone. Many have told me it is easier to go out to eat even though they prefer home cooked meals. We also have many college students who would prefer foods like Mom cooked at home. We also have a large population of single people who like to cook at home. All of these groups like good food but do not want large recipes where they have bowls of leftovers and there is a limit of how much food a single person can eat. Some people simply do not like leftovers or it may be a case of not having any refrigerator room to store the leftovers. When learning how to cook for one, to prevent waste which results in dollars, caution must be given to the grocery shopping. In order to do this a menu should be planned out on a weekly basis or to correspond to your shopping day. If you do not stock the kitchen, I am sure you will find it much easier to run out to eat when you are hungry rather than cooking at home. On the other hand, if you overstock in your pantry and refrigerator, much of it will go bad before you can eat it. Staples which have a long term storage life are always good to have on hand, especially if you are learning how to cook for one. When I was young and only cooked for my husband and myself, I only purchased dried herbs instead of the fresh ones which I really love. These dried herbs and other staples like a collection of spices, ketchup, mustard and bouillon cubes allowed me to obtain a variety of flavors without the fear of them going bad before being used. For most people, the foundation of a meal is some cut of some type of meat. I always build my meals around the protein selection for the meal and if I were learning how to cook for one, I would do the same. When preparing recipes for one or two, many choices must be made. For instance, an important question is whether you are trying to save money or not. This answer is necessary when purchasing the meat because it usually is the most expensive part of a meal. This does not mean that you cannot prepare delicious recipes without spending lots of money. If you are not concerned about the cost, then a chicken breast is a great choice for single meals and is easy to double for two. A boneless chicken breast can be cut in half and wrapped individually for two meals if you are learning how to cook for one. 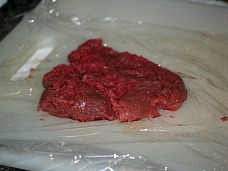 I usually cut or pound the breast halves (depending on what I plan to use them for) so they have an all over evenness. After wrapping them, I can store them stacked in the freezer. 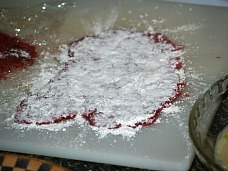 When I am ready to use them, they will thaw quickly prepared like this and they also cook quickly. If you want to cook chicken and you need to save money, the whole chicken and parts like the leg and thigh are good alternatives. When purchasing a whole chicken, four meals can be made from one chicken. Simply cut it into quarters; two legs and thigh parts and by cutting through the breast and back you will have two parts each with a wing and half of breast. 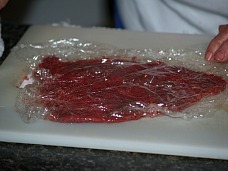 If you are learning how to cook for one wrap individually and keep what you do not need in the freezer. A whole chicken can also be roasted using only a fourth of the meat for your meal and saving the remainder of meat for three more meals. Roasting the whole chicken at once saves money on the cooking and also time. If you are learning how to cook for one, simply wrap and store in the refrigerator for meals on the following days or freeze for later. Fresh vegetables are always my preference and many will stay good in the refrigerator for up to a week. I really like salads with most of my meals but some lettuces do not last. For instance, I love the baby spring mix but it is only good for a couple of days so make sure you will be eating it immediately. If you are learning how to cook for one, frozen vegetables are convenient to have on hand and offer the best taste next to fresh. Many of these are frozen so you can remove only the needed portion. If you do not have freezer room, then choose good quality small canned vegetables to keep in your pantry. The small cans usually cost more but you need to “weigh” the cost to the waste if the whole can is not eaten. When learning how to cook for one, personalizing your basic supplies is more important than ever. If you pack away special items like a certain type of bread that you occasionally like to eat, you might find it going bad before it is consumed. For instance for bread, choose something basic which will go with all types of foods. Dinner rolls are convenient for several reasons. They can be kept in the freezer removing only one or two at a time, they go well with many dishes and they can also be used as buns for mini sandwiches. Slices of white bread are another good choice. If you like this ides, I would like to suggest that you divide the slices into serving sizes making it easy to remove a single serving from the freezer and the thawing is quick. Two key things to remember are to keep enough food stocked and do not overstock. Not having food ready to fix means most likely you will want to run out and get something to eat. Overstocking will result in waste by not eating what you have purchased. In both cases, you will waste money. The following recipes are for one serving but can easily be doubled for two. 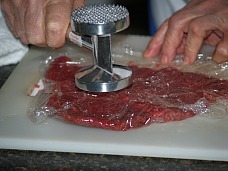 Pound the meat with a mallet to about ¼ to 1/8 inch thickness. 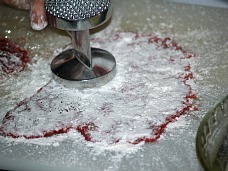 Coat the meat with flour and sprinkle with salt and pepper. 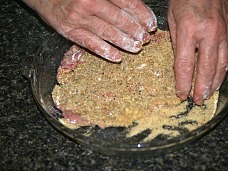 Combine the egg and milk; dip meat into egg mixture and then into the bread crumbs to coat evenly. In a small skillet cook the meat in hot oil about 3 to 5 minutes on each side or until tender and brown. Place meat on a dinner plate and keep warm. 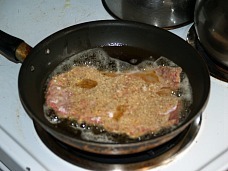 Add the water to the skillet to make gravy; stir to loosen the browned pieces from the skillet. In a small bowl combine the sour cream and flour. Stir sour cream mixture into the liquid in the skillet and stir briskly to blend. Cook and stir for about a minute until thickened and bubbly; season with salt and pepper. 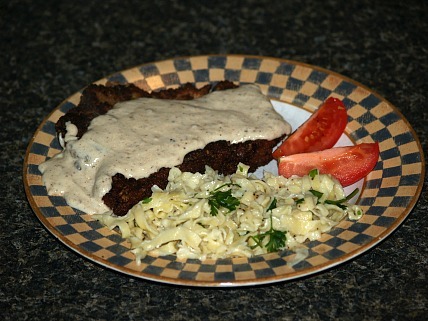 Spoon gravy over the meat; serve with buttered noodles and green salad. A simple, delicious salad is perfect when you are learning how to cook for one or two people. Line plate with salad greens and top with celery, green onion and tomato wedges. 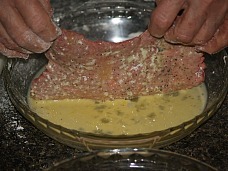 Combine and stir dressing recipe (below) together and pour over salad greens. In a medium saucepan cook bacon until crisp; remove and drain on paper towel. Reserve drippings in pan; crumble bacon and set aside. Add onion to the drippings and cook until tender. Stir in tomatoes and juice, water, sugar, bouillon, basil and chili powder into onion. Bring mixture to a boil and stir in rice; cover, turn heat to low and let set until liquid is absorbed. Stir in bacon crumbles; serve topped with snipped parsley and green salad. Cut a slice of orange from the center for garnish; squeeze juice from remaining and grate peel. Melt butter in small skillet over medium heat; place chicken in skillet. Sauté chicken until golden brown; turn chicken over and add shallots to the skillet. Sauté shallots until translucent; remove chicken to a plate. Combine in small bowl the orange juice, wine, honey and tarragon. Add juice mixture to skillet with shallots and stir to loosen pan browning. Return chicken to skillet, cover and simmer slowly about 30 minutes or until chicken is tender. Place chicken on plate; blend liqueur, orange peel and cornstarch until smooth. Stir cornstarch into pan juices; cook until thickened and pour over chicken. Cut a slit half way through orange slice and twist for a garnish on plate.